240 руб. 2-3 недели, 190 шт. 1 шт. 1 шт. от 5 шт. — 167 руб. 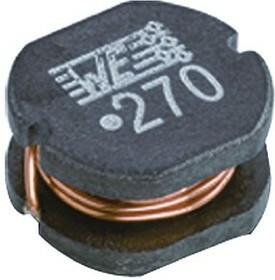 The 744774222 is a surface mount unshielded Power Inductor with open size. This WE-PD2 inductor supports 5MHz typical self-resonant frequency and perfectly suitable for switching regulators with extremely high efficiency. It is recommended that the temperature of the inductor does not exceed 125°C under worst case operating conditions.